I actually finished my tenth book this year last weekend, but since I was on vacation I kept forgetting to blog about it once I returned home. 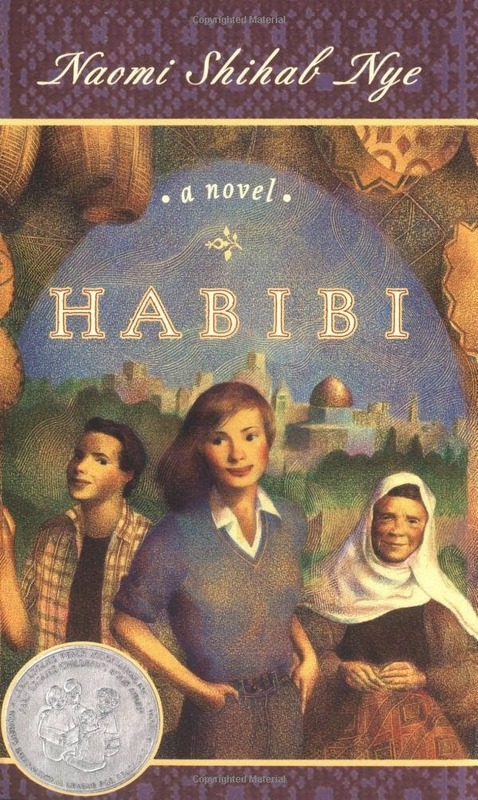 I read Habibi by Naomi Nye as 'a book with a one-word title.' Habibi means something similar to 'beloved' in Hebrew. The book is about a teen-aged girl, Liyanna, who moves with her family from St Louis, Missouri, to Jerusalem, where her father was born. Topics in geography and world history are not usually my strong suit, but I really enjoyed this book, as it was much more into the characters - who the people really were. I believe this was also pretty much the point. Liyanna was told about the conflicts, and experienced several traumatic incidents, but she could never bring herself to understand why everyone couldn't just know and respect each other as people. Such great wisdom from a young girl with little control over her own life. This was admittedly not a book I probably would have picked up without the list requirements to guide me, but I really enjoyed it. I'm glad you enjoyed it. Sounds interesting. That's a lot of reading you've done! Reading is not something I do for enjoyment, but I think it's great that people do. I always enjoy learning about new cultures and experiences that differ from my own - sounds like an interesting story. This book is right up my ally. I love these kinds! 10 books so far this year—that's quite an accomplishment. I have started a couple but haven't made it past the second chapter in most of them. As much as I love a good paperback, audio books are the way to go for me. I wish I had time to read, what an accomplishment and a great challenge! I'm hoping to find time this summer. Right now I read here and there on my kindle, but nothing serious.